I love Halloween... the costumes, the candy, the scary movies, the pumpkin carving! This year though, I feel totally behind! Things have been super fun but chaotic with traveling & our recent engagement and we've been busy trying to squeeze all of the Halloween festivities into a couple of weeks. I'm a big fan of DIY-ing using pieces in my closet. If you're slacking on your costume idea this year and looking for some inspiration I've pulled together some easy last minute Halloween looks. As a bonus- everything featured is available for free 2 day shipping if you have Amazon prime, so if you're a procrastinator like me, you still have time to pull together a costume. Also, most of the outfits contain pieces you can actually wear again (double score)! 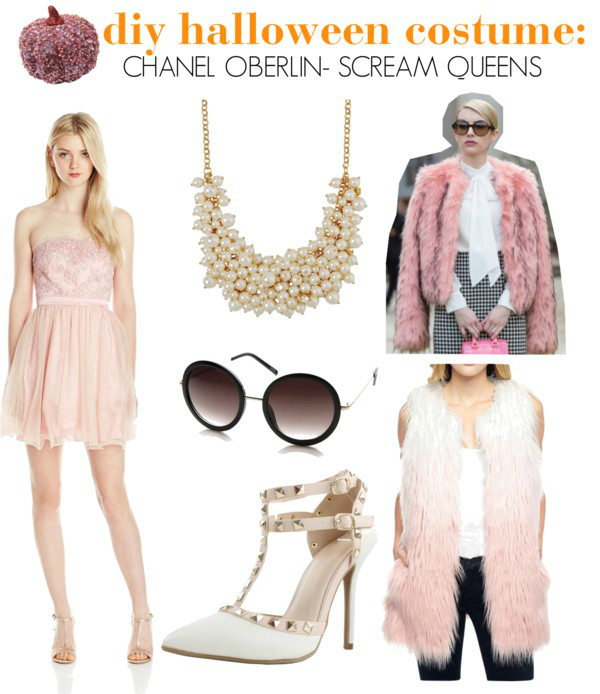 If you haven't watched Scream Queens yet- do yourself a favor & watch it! It's pure over-the-top comedy-horror goodness from the makers of Glee & American Horror Story. Emma Roberts plays mean girl & sorority president Chanel Oberlin with her girl gang of "Chanels" as they deal with a killer in the house. Bonus points for dressing your friends up with you. I get totally nostalgic about all things 90's & have fond memories of watching Wayne's World with my dad. This would make a really simple & fun couples or bestie's costume because you probably have 90% of this in your closet. 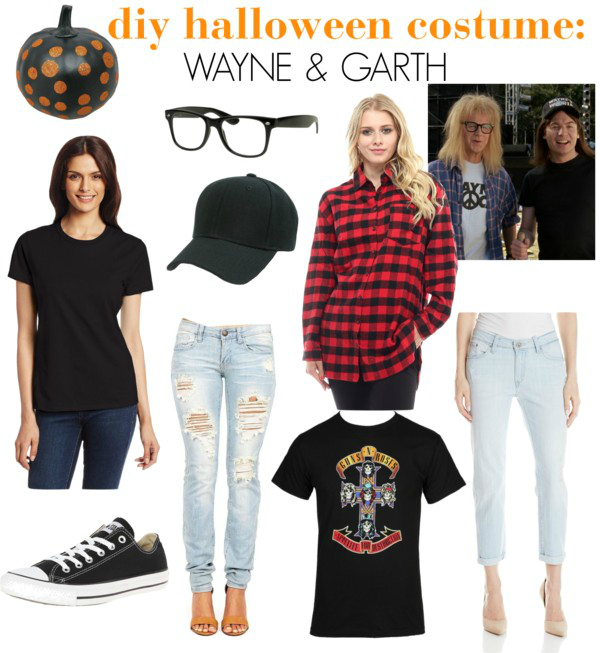 To complete the look, you should probablyyy repeat "Party on Wayne, Party on Garth" throughout the night. 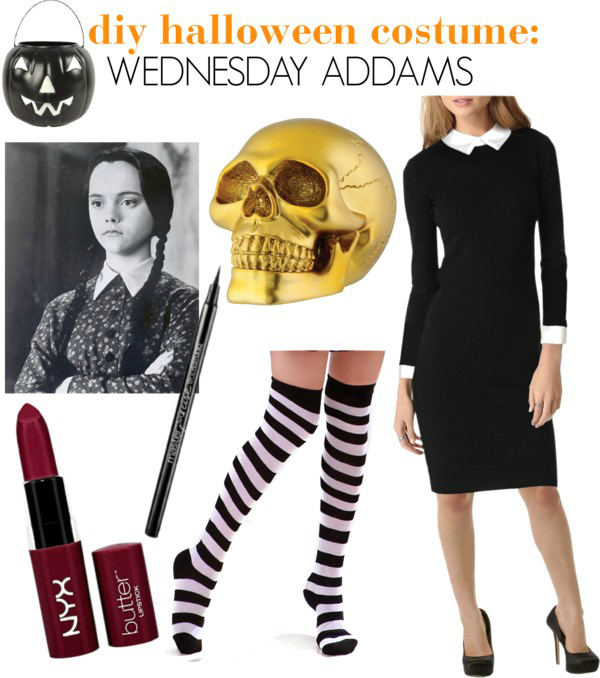 Wednesday Addams is a classic Halloween character & her look is really easy to achieve. Throw some striped stockings on with your black dress (layer a collared tee on underneath) & style hair in signature braids to complete the look. To get in the Wednesday spirit, carry around a morbid but glam gold skull. You could also have a guy dress as her brother Puggsley. So what are you dressing up as this Halloween? Don't forget that you can score all of these pieces with free 2 day shopping if you have Amazon Prime (this is totally not sponsored by them, I'm just a huge fan & user of the service)! I've been so lazy with halloween costumes this year. I love those pirate ones. They're really cute. Might have to take inspiration from that. I love the black lace dress in the Stylish Swashbuckler outfit and the striped stay-up stockings and dark lipstick in the Wednesday Adams outfit. Wednesday seems like a fun one! I'm going as Sadness from Inside Out, which was a super easy costume too!